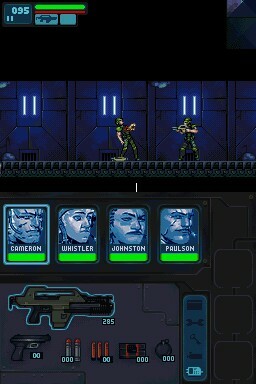 Players will be able to recruit and play as 19 different marines, each with their own unique dialogue, and explore iconic environments including the Sulaco, the Derelict ship, and LV-426. 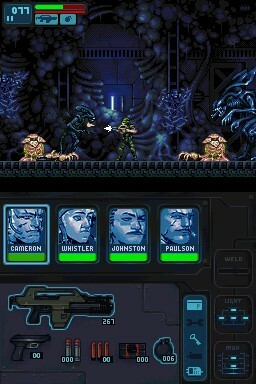 Aliens: Infestation is an action-heavy side-scrolling exploration game and will be part of the ALIENS expanded universe. 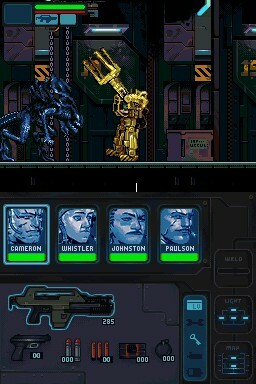 Developed by WayForward in collaboration with Gearbox Software, Aliens: Infestation will pit players against the overwhelming Xenomorph hive using a vast selection of iconic weapons and tools from the series. 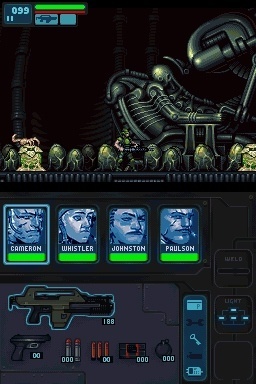 Featuring character designs by popular comic artist Chris Bachalo and equipped with an upgrade and collectibles system, Aliens: Infestation will allow players to explore large-scale versions of some of the most fan-beloved environments of the iconic films.